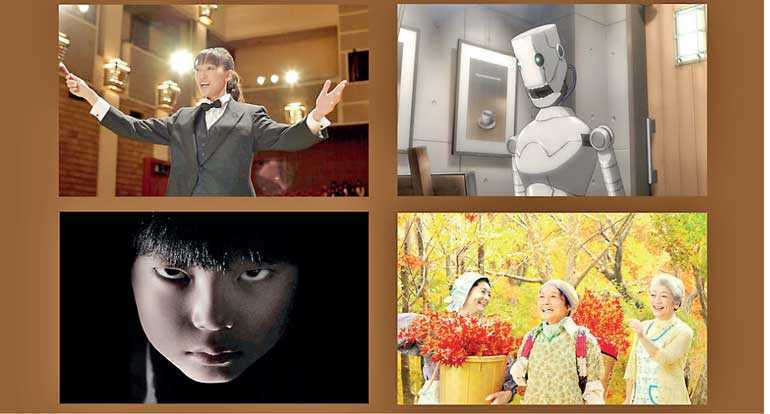 Japanese Film Festival – 2018 will be held at National Film Corporation Theatre, 303, Bauddhaloka Mawatha, Colombo 7 this weekend. It is organised by the Embassy of Japan in Sri Lanka and the Japan Foundation in Japan in collaboration with the National Youth Services Council, National Film Corporation and the Ship for World Youth Alumni Association. This year’s Film Festival presents the following four recently-made family-oriented movies that can be enjoyed together by all age groups. ‘It’s A Beautiful Life’ is a drama based on a true story, ‘The Complex’ is a horror, ‘Golden Orchestra!’ is a comedy, and ‘Time of Eve’ is a science fiction animation. All these movies have been well received in film competitions both in Japan and overseas. ‘It’s A Beautiful Life’ – 21st July at 3 p.m.
‘The Complex’ – 21 July at 5:30 p.m.
‘Golden Orchestra’ – 22 July at 3 p.m.
‘Time of Eve’ – 22 July at 5:30 p.m.